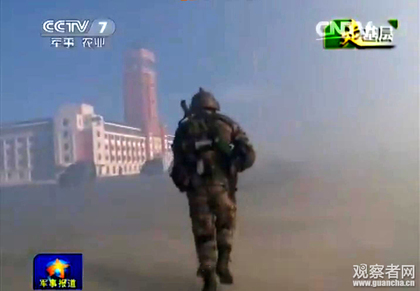 Last week some fascinating TV footage emerged of the People’s Liberation Army (PLA) training. What excited commentators was the fact that Chinese soldiers were assaulting a fairly realistic representation of the presidential office building in Taipei amidst a PLA training facility! This obviously struck a nerve. Maj Gen David Lo, Taiwan’s defence spokesman, said it was ‘unacceptable for the Taiwanese public and the international community’. Okay, such training was a tad too realistic. But then again, I’ve also had a go on a Taiwanese tank simulator where enemy tanks all bear red star emblems, just like PLA tanks do. 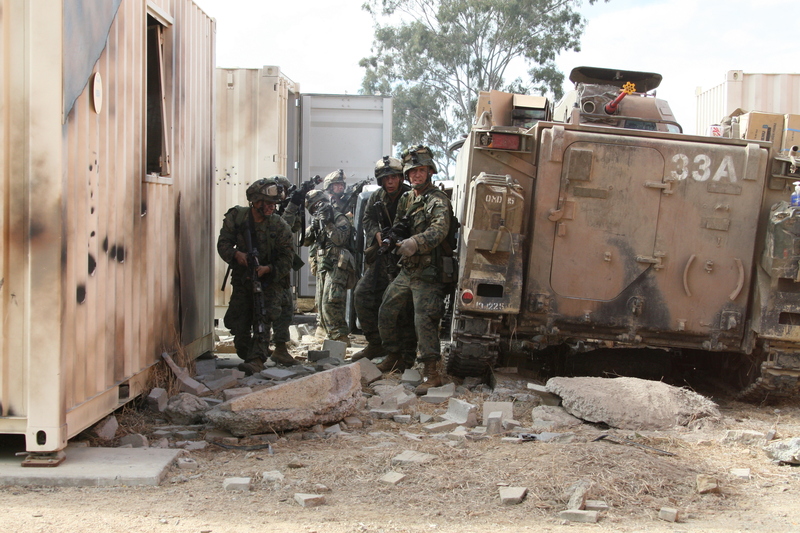 Militaries seek many ways to add realism to training scenarios for soldiers, and the key question is how to keep it fair. For example, in Australia recently a battalion headquarters and I were subjected to a fiery night-time assault by enemy armoured vehicles. I woke up to witness enemy vehicles racing past the encampment with guns fully blazing. It was impressive. Unfortunately though, these enemy troops had previously been killed – either no umpire had told them so, or they refused to accept their fate. Lasers attached to weapons and hooked up to sensors are certainly a good way to go. In a force-on-force engagement it removes the fudge factor. You’re dead if the sensor tells you you’re dead. No arguments please. However, it’s impossible to completely remove the human factor because no one likes losing… especially in China. National broadcaster CCTV exposed rampant cheating in military exercises. For example, commanders tired of losing battles would tell soldiers to tape up laser sensors and remove helmet-mounted smoke candles so they could not be ‘killed’.There have been other revelations such as underwater guideposts installed to help submarines improve navigation scores. With rampant corruption in the PLA, and many commanders achieving promotion solely through illicit payments, it should be unsurprising that underhand ruses occur in training as well. CCTV’s exposé is evidence the PLA really wants to improve its training culture, and the military has correspondingly established special surveillance teams to weed out cheating. Precision marching, bands and kung fu displays have long been the bread and butter of PLA public demonstrations. 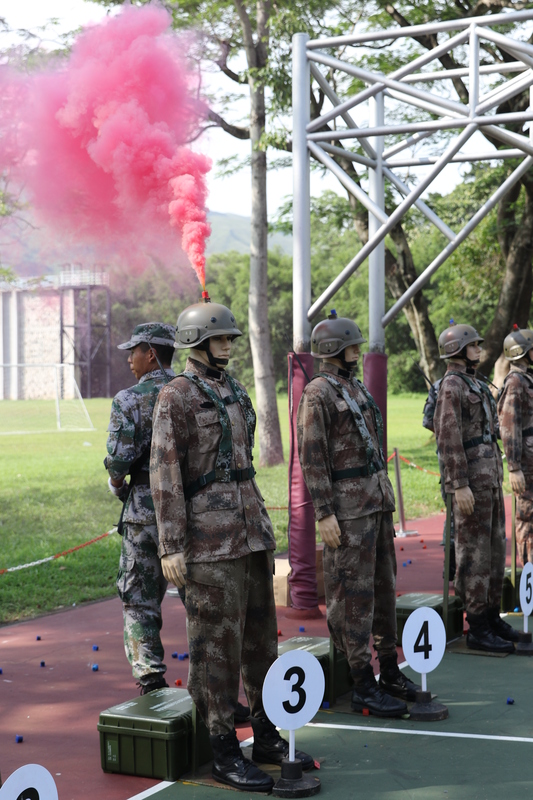 Breaking bricks or wooden boards with bare hands or heads are now being frowned upon as PLA training gets serious. The PLA Daily reported in January that a naval marine brigade will cut back on such showboating. It quoted marine Wang Xiaohui, ‘I’m finally liberated now’. He spent so much time practising stunts that he had little time to perform basic military skills.